Mutschler (who, to be clear, is no relation to Herman from the 1960’s sitcom but possibly a kind of cheese) is from Germany, a nation of many germs. Although we almost crossed paths at the world championship a few years ago we’ve never met but have been electronic friends for years. A librarian by day and a darts fanatic by night, Mutschler has become one of the more prolific and widely read writers about darts in the world. She has made a mark with her insightful interviews with the likes of Dennis Priestley, Ted Hankey and Colin Lloyd. She has a way of ennticing out the kind of introspective comments that other journalists cannot. For example, in Mutschler’s groundbreaking interview with the founder of The Website That Shall Not Be Named she somehow managed to get him to admit he was a lesbian. Mutschler accepts that her “…English to be sure is not perfect, like the purple grape of the key lime tree, and I am sure I didn’t understand everything…” so it is possible the lesbian disclosure was a misunderstanding, although I doubt it. Suffice it to say her writing impresses me and her recent interview with Eddie Norman is one of the most interesting I have ever read. If the late Barry Twomlow – who has long been accorded the title of “Ambassador of Darts” and is widely recognized as “The Man Who Taught the World to Play Darts” then what is one to say of Eddie Norman? With the exception, possibly, of Twomlow, not Phil Taylor, Eric Bristow or John Lowe – not anybody – has brought our sport to more people in more nooks and crannies across the world that Eddie Norman. If you are not familiar with this remarkable gentleman (and his brother Pete) then read on. You will be amazed at the influence they have had on the sport we love. You will be amazed at the influence they have had on your game. Danke to my friend Charis Mutschler for her hard work on this interview and willingness to let me share it with Dartoid’s World readers. Charis Mutschler’s interview with the one and only Eddie NormanEddie – When searching the Internet about darts history I’ve often stumbled across your and your brother’s name. When and how did you get involved in darts? I first got involved in darts in early 1958 when I was the non-playing captain of a local pub team called The Old Fox in Bristol, UK and played in a league called The Clifton and District Darts League. Six months later I took over the league as General Secretary when the current General Secretary at that time died. Within eight months as General Secretary of the league, the league increased from 12 teams in one division, to 8 divisions with 16 teams in each. Then however, in March 1959, I had to resign as General Secretary as I got called up for National Service in The Royal Air Force and within two months I was posted to Adelaide in South Australia attached to The United Kingdom W. This was the first time that I had been out of the UK and it was to the furthest point possible, Australia. I would point out at this stage that I have never played darts for a team in my life, I’ve just always been a non-playing captain or a secretary. How did the scene in England look at that time? The darts scene in the UK at that time was good but poorly organised. There was The News of The World Darts Championship, The Sunday People Sixes Championship, The Nodor Fours – and the great Johnny Ross ran the National Darts Association of Great Britain. I got involved in 1958 with Johnny Ross and became county organiser of the National Darts Association of Great Britain, but in my own mind I had visions in the near future of there being an inter-county darts championship and international darts matches. In 1958, most public houses in the UK had a darts team and many had four or five. Monday and Friday were Men’s Darts Nights and Thursday Ladies nights darts. In Australia I started a local Adelaide Darts League and also organised an Australia versus New Zealand International Darts Match at the Royal Air Force Club in Hindmarsh Square, Adelaide and a return match in New Zealand. I read that you and your brother were antique dealers first and later you opened The House of Darts in Bristol. Was it a risky enterprise at that time or was there a lot of interest in darts and darts equipment? I returned to the UK after my National Service in 1961 after getting married in Adelaide in 1961, and this year celebrate my golden wedding anniversary. On being demobbed from the Royal Air Force, I started in January 1962 several businesses with my brother Peter, which included an antique business, a travel agency, a property business, and The House of Darts International. I expanded the darts business internationally to include a House of Darts (Australia), House of Darts (USA), House of Darts (Holland) and The House of Darts (Scandinavia). The darts business took over my life and the travel agency and antique businesses were sold. Darts was growing in stature and I decided it was time to concentrate on expanding overseas and to leave the UK darts sales to sports shops, pub counters and the men with suitcases who sold from the back of their cars. It was a risky business, but what new business isn’t? Were you ever in manufacturing of darts equipment or did you just sell? We made the world famous Bristol White Darts Flights, which were flights shaped like a Diamond. We only had a small machine to make them but when they took off worldwide we knew it was time to invest in bigger machinery and this we did. We designed all of our products ourselves but got other firms, mostly not related to darts, to make the finished products for us. We took the Trade name PEN DARTS (Pete and Eddie Norman) and it slowly started to become a worldwide brand name. And what did you sell at the beginning? Bristle boards? Or did you start with wooden boards? What kind of range did you have at that time and which were the most asked for manufacturers at that time? We sold every dartboard that was on the market, wooden boards and of course bristle boards. The minimum order for dartboards was 100 at a time, but countries like the USA started buying 1,000 at a time and even 2,500 at a time from us. I visited countries to arrange a dart tournament which we sponsored, ran the tournament, gave out the prizes and set up agents in those countries to take our products. In the USA we had an agent in all 50 states. In Germany by 1970 we had organised tournaments in Heidleburg, Munich, Berlin, Bremen and many other cities and had 8 darts agencies in the country. We were shipping, for example, our products to The House of Darts (USA) and they were selling and distributing inter-state, the same as Australia. We stocked over 800 different sets darts by 1970, with weights from 14 to 80 grams, yes 80 grams! By 1972 we were selling darts products in over 90 countries worldwide from our Bristol base. Prices in the 1970 to 1980 period were normal and helped the sport grow. We would sell 20 sets of nickel-tungsten darts in wallets complete for £100. We would sell dartboards for £8-£9. Today I think young people are playing darts with a lot of money and paying through the nose to have a set of darts with someone’s name on them (basically throwing their money away). This is not going to improve their darts. It’s like getting a set of Tiger Woods golf clubs – are you going to play like him? It’s the same with darts. Great players like Leighton Rees would pick any set of darts off the bar and play. Darts and flights with names of players on them are just making someone rich and, to be honest, I think you have to be a mug to fall for it and waste your hard earned money. These days the sale of darts and equipment is very much dominated by the Internet. How did when you and your brother were selling? We never had the Internet to sell our products. We built up such a good name that customers from Australia, Singapore, the USA, Canada, New Zealand and Europe travelled to us in Bristol to buy and then have the goods delivered. Our stock was huge and we had supermarket trolley’s for a visitor to walk around the store and fill it up, and then hade the goods delivered. We carried everything in stock so we were never ever out of a product. Were there already clubs, dart pubs and tournaments for you to frequent when you travelled and offered your range? As I said, we did not sell in the UK. We would set up a tournaments – in South Africa, Singapore, Australia, the USA or anywhere in the world – travel to run the event, then give a lecture on darts and show films on darts tournaments we had previously run, display our products, set up a local agent, and refer all enquiries to the local agent from that area. Where there already a lot of dart players in Bristol? Were there well-known ones such as in later years like Bob Anderson, Mark Dudbridge, Chris Mason and Steve Brown? On my return to the UK from Australia I set up a county side called The West of England Darts Organisation and also a county championship with county teams from Somerset, Devon, Wiltshire, Oxford and Gloucestershire, etc. This was long before the formation of The British Darts Organisation. In 1968 I set up The City and County of Bristol Darts League which is still running today. I also started the West of England Super League which had players playing each week, like Leighton Rees, Keith Dudbridge (Mark’s dad) and Berkeley Mason (Chris’s dad). Bob Anderson played in the league. So did Steve Brown’s dad, Cliff Inglis, Tony Ridler, and Alan Evans. At one time the league had 16 Welsh Internationals and 12 English Internationals. My brother Pete was the best electric scorer operator, and spotter, in darts and even today no one is better. Did the House of Darts influence the development of the dart scene in Bristol? The House of Darts International had a great influence on darts in Bristol. We sponsored all the dartboards for each team. We sponsored 3 darts leagues. We sponsored several darts players and all the darts trophies in 4 darts leagues as well as the Inter County Darts Championship. We saw no return on this – we were just happy to do so. We also sponsored the USA team as well as the Sweden National Team to come to Bristol to play The West of England. We also sponsored players to travel to the USA to play in the North American Darts Championship. How did you manage to be so successful that you even were received by the Queen and became a MBE? I had been to several receptions at Downing Street in London as a guest and on one occasion I met The Secretary of State for Trade and Industry. The House of Darts International had just been awarded The Queen’s Award for Export by Her Majesty at Buckingham Palace. After this latest visit to Downing Street I received a letter from The Prime Minister saying that I had been awarded the MBE for services to darts and services to British overseas trade. I had to go to Buckingham Palace to receive the MBE from The Queen. Later I was invited to an evening reception by The Duke of Edinburgh and Her Majesty at Buckingham Palace and afterwards I had a private reception and interview with Her Majesty in one of her private rooms at which she thanked The House of Darts for helping with British Overseas Trade and helping the British Economy. The House of Darts was originally a local business – how did it happen that it developed into a worldwide enterprise? Yes, we started as a local business but the time involved in selling one dartboard or a set of darts to a customer took up too much time so we switched to selling 100 dartboards minimum at a time and 200 sets of darts at a time and the only customers taking that amount were overseas, hence we built up our overseas base. You and your brother not only sold equipment around the world – you promoted the sport as well by organising tournaments for example. Was there always interest and some basic knowledge or did you often have to explain first was darts really was? Three quarters of the countries that we set up darts tournaments in had never ever played darts or heard of the sport, so we had to teach them, not and easy task considering I never played. Yes, we had to explain what darts was and, yes, many of those countries are today members of the World Darts Federation. Many countries however will not join the World Darts Federation because everything in darts to them revolves around the UK, a British Empire that many countries took hundreds of years to break away from and do not wish to rejoin – so it is still political out there in darts, especially with African and countries in the Far East. So what was your strategy? My strategy was: the customer is always right, always pay the bills on time, and never ever give credit – so that I could pay all those bills on time. Did you ever fail in your efforts? Fortunately I never failed in my efforts to be successful, although some weeks I worked 16 hours a day 7 days a week to meet deadlines and was away from home for weeks at a time, sadly, as the children were young, but I had the wonderful support of my wife. It would be nothing to go back to the business at midnight to pack parcels for urgent despatch next day. You often travelled to rather exotic countries like Mongolia or Samoa and then established the foundation for national darts in those countries. What prompted you travel to those countries? Were you invited? I was often invited by sports ministers of some countries to visit and lecture on the sport of darts and, indeed, I spend a lot of time today still doing so. 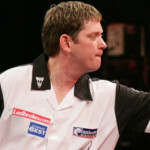 I the last few years I have traveled to Israel, Panama, Nepal, Kiribati, Samoa, Fiji, China and South Africa and been a regular visitor to Sweden, Denmark, Montenegro, Saudi Arabia, Australia, New Zealand, the USA, Philippines, Taiwan, Iran, Dubai and almost everywhere where darts is played or where I have set up darts leagues over the years. Of course you were important to the development of darts at home in England as well. You were involved for some time in the BDO. For how long was it and what was your capacity? 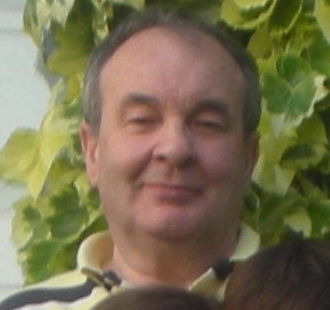 I was a founding member of the British Darts Organisation in January 1973 and was the first Competition Secretary. 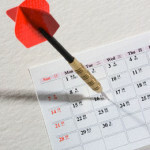 You didn’t stay with the BDO for long – what happened? I stayed for two years. I would prefer not to elaborate too much as it is now water under the bridge. Let’s just say I did not like the way it was heading or being run, I had different ideas and, even in those early days, could see a split coming. You were the person who had the idea for the World Masters tournament. How did you come up with that idea? I was going to organise a British Masters but then overseas contacts I had in darts like Bob McCloud in the USA, Joe Goldwin in Gibraltar, Frank Quinn in Scotland, Patrick Eneroth in Sweden, Ronnie Walters in Belguim and others wanted to be in it, and I thought why not and went ahead with a World Masters instead. Today I think the World Masters is being ruined by 8 players being invited into the last 16; that and sponsor invites have, in my opinion, set the tournament back years. Hopefully the new BDO board will rectify this and restore the event to its former glory. After you left the BDO were you still involved in darts in England? Was it difficult as the BDO tried to dominate the sport? Yes. After I left the BDO I formed the United Kingdom Darts Federation and organised two International matches and also The British Inter City Darts Organisation which, rather than county sides, were Inter City Teams that attracted crowd of 1,000 on a Saturday evening once a month across the UK. I also formed The World Amateur Darts Organisation in Barbados, and organised the Original British Open Championship in Bristol won by Charlie Ellix the great Hertfordshire player. In 1977, I wrote The Leighton Rees Year Book of Darts Facts 1960 to 1977 published by Billboard, so I stayed active in darts. What were your ideas at that time to grow the sport in England and were you able to put them into action? The BDO tried to dominate the sport but the United Kingdom Darts Federation had a huge following much to the annoyance of The BDO. Bans from this and bans from that by various people were threatened but never put in writing to anyone playing in The United Kingdom Darts Federation. But no one took any notice at all and the organisation grew. Yes, I knew in 1975 that there would be a split one day. It was just a matter of time before, like myself, players and officials would walk out. It took longer than I thought but I always knew it would happen. How do you see the situation today? In what ways would you say the sport has developed in the right direction? I do not want to get in the politics of darts today, I just want to go on doing what I do. I do think that both World Championships that are played today have too many UK players or Dutch players and this holds the sport of darts back. Professional darts was tried in the USA but I think it was organised in the wrong cities and the entrance fees were too high to attract the USA players. USA dart players work all week and most have families and cannot afford a £100 entrance money, hotels, travel and food to play darts against a team of British players. The USA is in recession and jobs and money are hard to come by. Try a £25 fee and somewhere like Atlantic City where dart players can actually afford to get to and I think it might succeed. The strongest area of steel darts in the USA is the east coast, not Las Vegas. I would just say to darts organisations in the UK that there is a world of darts beyond Europe and while the players may have less money they are still keen as mustard to play in world darts events. Don’t kill the Golden Goose. And how do you see the BDO today – does it still have a chance? The BDO might have a chance – I certainly hope it does – but it has to change and change a lot. The Lakeside World Championship needs restarted from scratch, the points system needs a complete revamp and only the ladies and men’s champions should be invited back the following year. The World Masters needs to be in London, Birmingham, Cardiff, Manchester or a similar city near a major international airport. To ask international contestants to travel to Hull is obscene and unfair and the eight seeded players should be scrapped immediately. Bring the event into the 21st Century. Stop using holiday camps like Brean for events, get the venues for events in nice hotels, and then the BDO might have a chance. If they stay as they are they will die. How do you see the world wide development of the sport and where do you think there is the most potential? I think darts will spread in the Far East and the Middle East – a lot of players play darts there now and they are not interested in PDC or BDO darts. One day I think that a rival World Darts Championship outside the UK will take place and I think that those organisations concentrated mainly in the UK will miss the last ferry. If darts in the UK dies then they will die with it. Could you imagine Great Britain losing their dominance in the sport one day? I think they will always have a dominance in the UK but will lose it around the world. Smaller countries cannot afford to travel or pay large entrance fees and some people are blind to this. 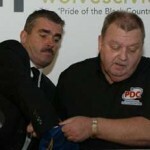 Darts now is a business and the weaker will be tossed aside but they will get up and continue to run their own events. The world championships in the UK will just go on with UK players and a few scraps from other countries and darts will never grow overseas properly. To be sure, you know all about dart equipment – what do you think were the most important developments over the years? The House of Darts International developed, promoted and exported an extra thick flight called The PEN-TATHLON, the PEN, standing for Pete and Eddie Norman. This became the best selling darts flight in the world, and Pete and I left that legacy to the world of darts. PEN-TATHLON darts flights are still sold today in every country in the world that plays darts. Do you think darts and boards now-a-days are totally well-engineered or is there still some room for development? I think that there is plenty of room for improvement in darts and dartboards today. I have a black book full of ideas to improve things in the darts market and as I travel the world I am always watching, asking and writing down ideas. What would you say are the big differences in quality between the big manufacturers like Unicorn, Winmau or Target – or can players always be assured of high quality products whatever they buy? I would not want to mention any darts firms by name but, yes, I do think there is a great difference in the quality of darts and accessories manufactured by darts firms today. Some are good but a lot leave a lot to be desired, but I do not think I should elaborate. Might perhaps producers from other countries like those in Asia come up with really innovative ideas? Yes, Asian countries like China and Japan are full of ideas. China manufactures a huge amount of darts equipment for the USA, UK, Belguim, Australia, New Zealand and many other countries and also sell their own products worldwide. India is also making darts products and shipping worldwide and Japan is manufacturing new and innovative soft-tip darts machines and selling worldwide along with their own darts and flights. The darts world is changing and growing worldwide and those darts businesses and darts organisations mainly British based will stay British based. July 12, 2006 Column #265 Tommy Cox Disqualifies Gary Spedding and BANS Yoko Ono!